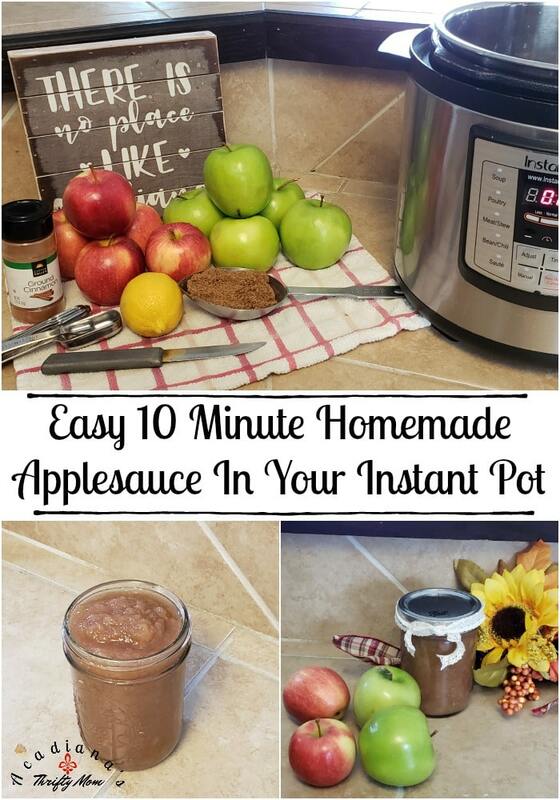 Easy 10 Minute Homemade Applesauce In Your Instant Pot. 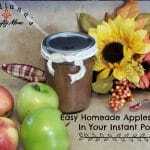 Easy 10 Minute Homemade Applesauce In Your Instant Pot. Do you love applesauce? 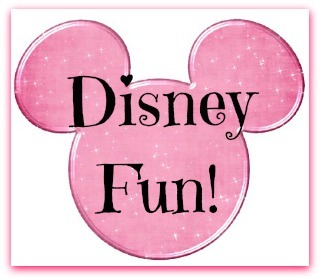 We do around our house! We love to eat it by itself and we also love adding it to our favorite recipes. When September hits and apples go on sale everywhere, we set out to make applesauce. The best part about making your own applesauce is that you can choose what goes in it. We like sugar and cinnamon in our applesauce. You can also use honey, maple syrup, artificial sweetener, or no sweetener at all. You can also add a couple of eggs, flour, baking soda, and baking powder to make an amazing cake. This is why I love making my own recipes and creating new ones. 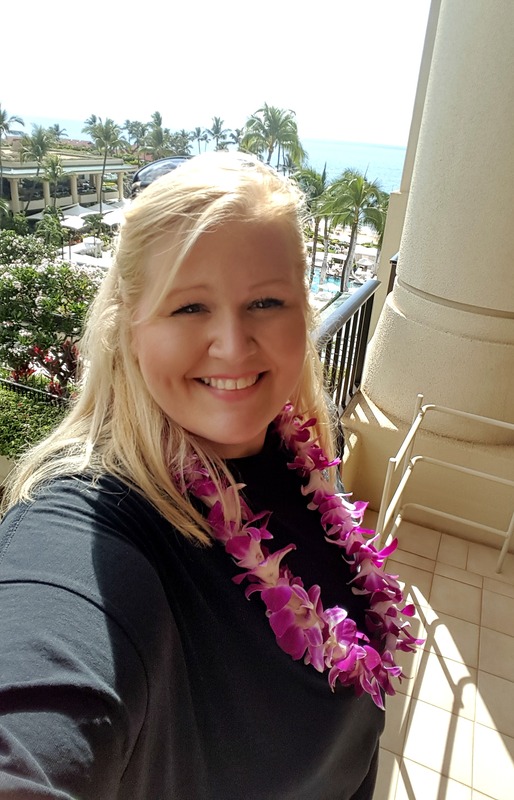 When you know how to create things yourself, you learn so much about cooking, saving time, and saving money! Give this recipe a try. If you love it, then keep it like it is. If not, change it up and make it your own. 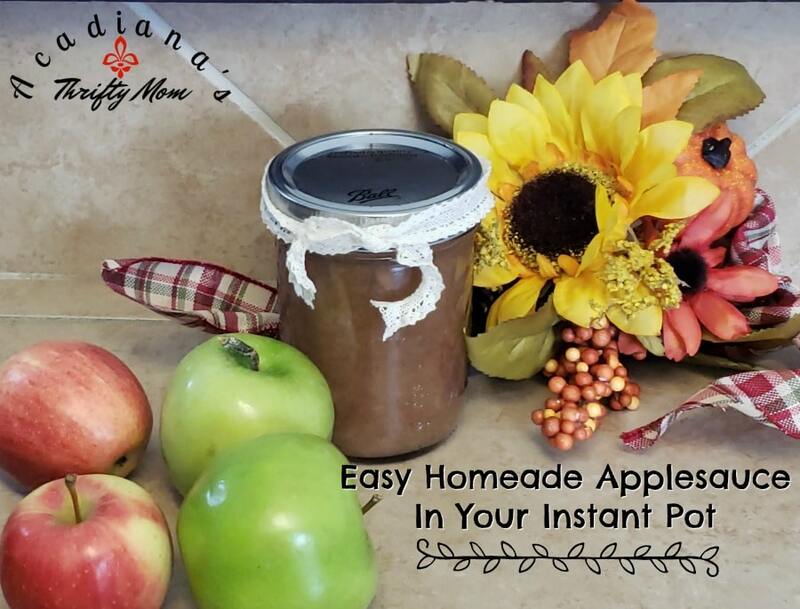 Let me know, in the comments below, how you like to use applesauce the most! Applesauce is a great way to create a moist pastry without adding all of the fat with oils. If you don’t add cinnamon to it, you can use applesauce for tons of recipes, cakes, and breads as a substitute for oil. So, grab your Instant Pot and get going! Add all of the ingredients to your Instant pot in order. Set your Instant Pot to medium pressure for 10 minutes, seal, and start. Allow to naturally release, then carefully remove lid and give a quick mix with your mixer. Just enough to blend it all together.